Aric Almirola started Stage 1 in the 13thposition at Dover International Speedway and ended it in the 16th spot. Throughout the stage Almirola was battling a tight-handling No. 10 Smithfield Ford Fusion. During the second caution of the day, the Tampa native visited pit road for fuel, four tires and adjustments and restarted 19thon lap 25. The race stayed green for the remainder of the stage, and Almirola finished it in the 16th position. Before the start of Stage 2, Almirola visited pit road for four tires, fuel and adjustments. He started the second stage in the 17thposition and ended the stage in 12th. With the Smithfield Ford handling better, Almirola was running in the 13thspot when the caution came out on lap 153. He once again came for service by the No. 10 pit crew and restarted 15thon lap 158. The race remained under the green flag until the end of stage, and Almirola worked his way up to 12th. During the caution period for the final stage break, Almirola visited pit road for fuel, four tires and adjustments, and restarted 13thon lap 249. On lap 254 the sixth caution of the day came out while the 34-year-old was in the 13thspot. He reported the Smithfield Ford’s handling was improving so he did not visit pit road, restarting 10thon lap 259. With the No. 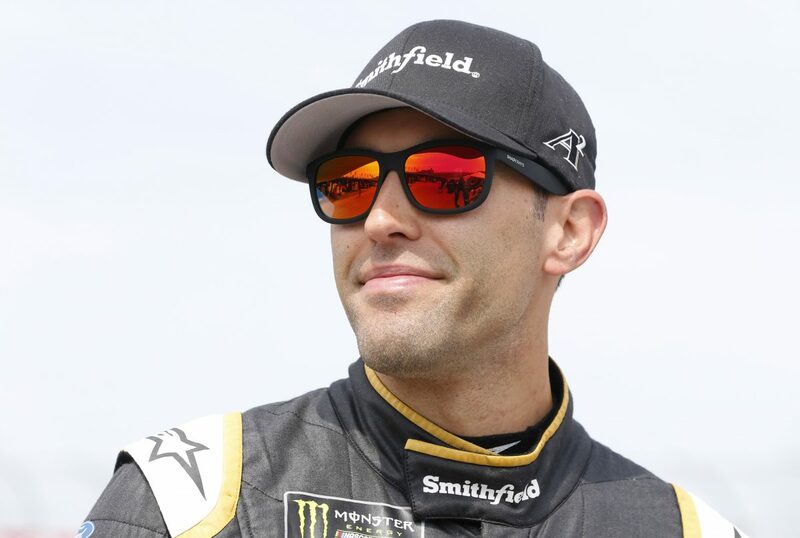 10 Smithfield Ford handling better, Almirola worked his way up to the seventh position when the seventh caution came out on lap 271. Almirola pitted and restarted in 12thon lap 281. Before the field returned to green, Almirola visited pit road for fuel, four tires and multiple adjustments to help with the car’s handling and restarted 15thon lap 325. The remaining 75 laps were raced under the green flag, and Almirola worked his way up to the 11thposition to take the checkered flag. This was Almirola’s best finish at Dover since the 2015 season when he finished fifth in both races. Almirola finished 16thin Stage 1 and 12thin Stage 2. Sunday’s win marks SHR’s fifth victory in the first 11 races of the 2018 season. The next event on the Monster Energy NASCAR Cup Series schedule is the KC Masterpiece 400 on Saturday, May 12 at Kansas Speedway in Kansas City. The race starts at 8 p.m. EDT with live coverage provided by FS1 beginning with a prerace show at 7 p.m.